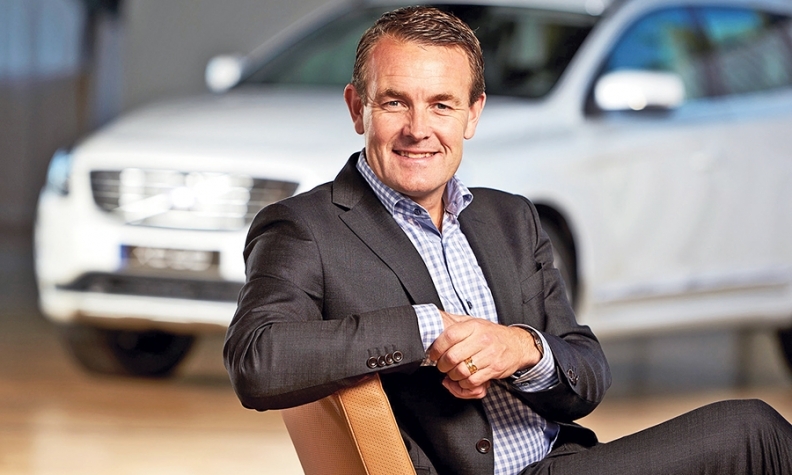 Volvo's information technology boss says the Swedish automaker's commitment to safety includes the promise to protect its customers from vehicle hackers. Klas Bendrik, 45, Volvo's chief information officer, also believes that the company's connected-car features need to be easy to use, affordable and provide tangible benefits. He explained why in an interview with Automotive News Europe Correspondent Olive Keogh. Q: What is Volvo's main focus when it comes to connected cars? A: As a humancentric company, our focus is on ease of use and how our customers can benefit from driving a connected Volvo. Is concern that connected vehicles can be hacked leading Volvo to work with new security partners? Yes, to some extent, but if you are already working within IT in a global company, you are used to working with various dimensions around security. Safety is one of our core values and a major concern for Volvo. We treat virtual safety as equally important. We are very serious about securing the capabilities of our services and products. Will factors such as poor network coverage delay Volvo? So far things have been moving along quickly enough but we are dependent on the surrounding world for the connected car to work. Customer expectations of connected-car capabilities are now very high. In certain parts of the world you have excellent coverage. In others you do not. This can have a potentially negative impact on the customer experience as they think the car is not functioning properly. The answer is to deliver the technologies to markets that are mature and ready for them. Is there a danger customers will blame Volvo for connectivity problems? It's the same as in other industries. Do you blame the iPad for a bad connection to the Internet? We are working very hard with our partners to ensure that we are all focused on providing the best customer experience no matter where you are in the world. There are a couple of important aspects emerging, such as the decision of the European Union for cars to be equipped with eCall capabilities, [an automatic call after a crash]. And of course there will be more legal requirements that will have an effect on the automotive industry. I also think that the Internet of Things will give access to cheaper and even more reliable technology of various kinds. This will enable further services and technological capabilities to be put into our vehicles at very affordable cost. Customers rank connectivity as a high priority. Is that speeding change? Yes. Customer expectations about connected capabilities in general are increasing. This is a general trend in society. At Volvo we are interested in solutions that improve our customers' daily lives. For example, how can we contribute to a healthier environment by helping reduce congestion in major cities with real-time navigation solutions? Or how can we make journeys safer by providing new, cloud-based real-time traffic information? What connected-car features do customers particularly like? Features that make their lives easier, like remotely programming their vehicle for preheating or cooling. This feature is available in 21 markets around the globe. Customers are also interested in new smart solutions such as navigation software updates fed directly to their vehicle. Is a figure available for how much Volvo has spent on connected car in the past few years? There is, but I cannot disclose it. We look at the value of a new connected offer and then find technical solutions that provide both a positive business case and a benefit for the customer. Is there an overlap between connected-car and autonomous-driving features? They are partly two separate developments but they are highly integrated. Connectivity in the car, the connected customer and autonomous driving capabilities are living together symbiotically.